This is a GUI version of QuickPwn for Windows. It is available for download here, but beware this is still beta software. It is fairly self explanatory and easy to use. 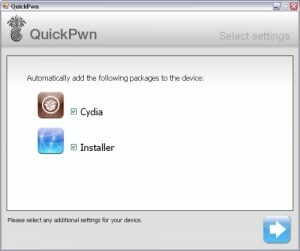 You’ll still see a command-line window popping up when the actual QuickPwn process takes place, but the device and ipsw selection is handled by the GUI. 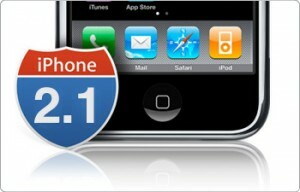 Apple just released new firmware for iPhone - version 2.0.2. As usual, all the company mentioned was that the update includes "Bug fixes." 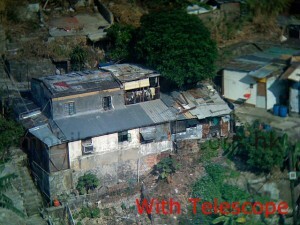 No consensus on improved 3G connectivity. 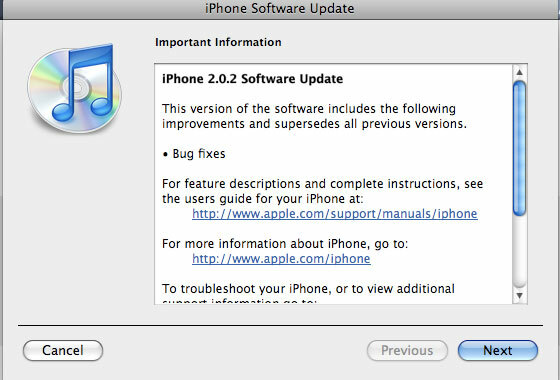 iPod Touch firmware 2.0.2 also released. But as always, do not update until we get word on a jailbreak. Links for firmware downloads: iPhone 3G 2.0.2, old iPhone 2.0.2. This is a telescope for iPhone 3G. Costs just $19 and zooms by 6x. Just snap the unit to the back of the iPhone 3G and get to work. Here is a link to product page. Here are two photos from wired.com, one without telescope and opne with it. Looks really nice. 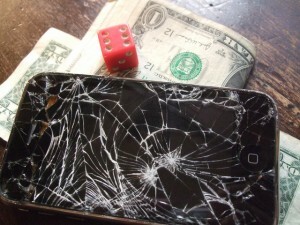 DevTeam created a quick solution for jailbreaking an iPhone. It is called QuickPwn. It is in beta, so be careful. 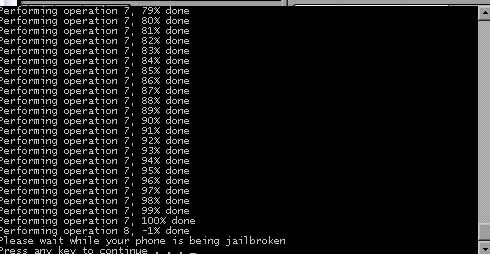 It will allow you to pwn (jailbreak) your device very quickly without restoring! Who should use this tool? This is for those that are not planning to restore. It’s not clear what the activation state is after the process therefore, I only recommend this for those that have a contract carrier or an unlocked phone already. If you are on a stock device and using AT&T or a contract carrier, this is the perfect jailbreak for you. You will not lose your contacts or have to do any backups. Finally, if you are going to restore anyway, especially if you need to unlock a 2g, you may as well use winpwn or such. 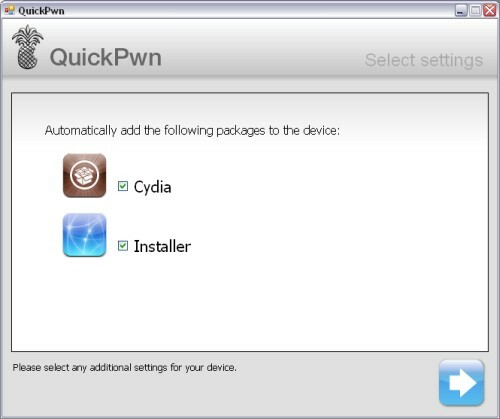 Currently QuickPwn requires your device to be running version 2.0.1 of the iPhone/iPod firmware. And it runs only on Windows. This requirement will change in a subsequent release. Many visual enhancements and fixes in regards to source and packages display. Fixed an issue with failing installs with dependencies under some circumstances. Fixed a bug causing package information to be displayed incorrectly (size 0 bytes) on the first access, or when the custom information HTML page (such as packages from Big Boss' repository) was not displayed. When updating a package, and one of its dependencies also has an update available, the dependency will be updated as well. The package icons will only be downloaded when on the Wi-Fi to help you save on bandwidth. The repositories are being refreshed upon Installer.app launch so you always stay on the bleeding edge with the updates. This is exeperimental behavior and we're not yet sure it will make it to the final release. Fixed a script command Confirm that was returning invalid button index for the "OK" button. Lots and lots of both cosmetic and internal application core fixes that improve the overall performance, presentation and stability of the application. Community Sources package is updated. It now includes a repository for modmyifone.com (lot's of stuff there) and iphone-notes.de (BSD Subsystem and OpenSSH), as well as numerous carrier bundles and other useful stuff. New version of ZiPhone unlock is on it's way? 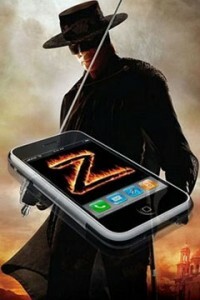 "Next generation of ZiPhone is in the works. It will be as simple as Apple would have done it. A simple one click program. Well, hopefully we'll see something soon. You probable know, that some time ago software developers have found a line of code buried in the iPhone's operating system that could enable Apple to remotely delete applications stored on the device that it no longer approves of. This is known as "Apple's kill switch". Now you can turn this OFF using BossPrefs 2.12b. This is a major feature in 2.12b version. 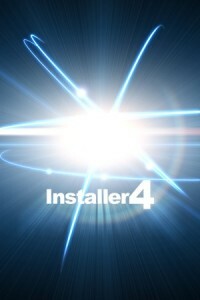 Avaliable for download from Cydia Installer. Once installed and customized, it allows you to download data off the Internet and store it on your iPhone or iPod touch local disk. You can download mp3 files, zip archives and much more. It was avaliable for old firmwares (1.1.4 and below). Now 2.0 users can use it too. Avaliable through Cydia Installer. Apple has just seeded iPhone 2.1 beta 4 to developers—uninteresting, really, except for the fact that the push notification service has been pulled from the release "for further development." Targeted to hit your iPhone in September, the push service allows apps to receive notifications (internet data) in the background while they're not running, a godsend for AIM and other messaging apps. Hopefully this doesn't mean it'll be delayed. 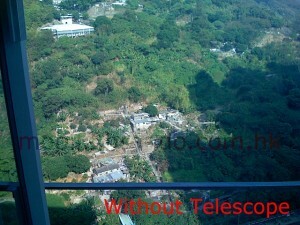 This iPhone application is for sending MMS. It works, there are some bugs, but I was able to send MMS. New version has minot bugfixes. It is still only for firmware 1.1.4 nd below. No 2.0 support yet. You can download it from Installer 3 or Cydia. ThinkGeek began to sell stylus for iPhone/iPod Touch. It is supposed that users operate their devices using hands. However there are many people that just cannot do that (f.e. women with long nails). For such users the iPhone Japanese Touch Pen Stylus was created. 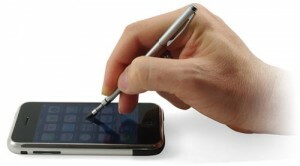 The iPhone Japanese Touch Pen Stylus emulates your finger and allows you to gain precise control while using your phone. This sleek metal stylus is imported from Japan and features an angled spring loaded tip for easier on-screen dragging. The removable cap on the back unscrews to reveal a SIM eject tool. It's perfect for those of you with long fingernails or simply oversized stubby man fingers. The price is $14.99. MSNBC recently spoke with several GPS manufacturers about their plans to develop a turn-by-turn GPS solution for the iPhone. Such a program is likely some months away. Several of the 'bigs' in the business — TomTom, Garmin and Magellan — are interested. "We have made our navigation system run on the iPhone; it looks good and works very well," said Dutch-based company TomTom, in a statement to MSNBC.com. "We will have to look more closely to Apple’s strategy before we can say more about what kind of opportunities this will bring us,:". "We’re always looking at new phone platforms to expand into for Garmin Mobile, but we don’t have any announcements regarding the iPhone at this time," said Jessica Myers of Garmin International. Magellan spokesman Raphel Finelli said the company does "not have immediate plans for this, but we are looking into it."